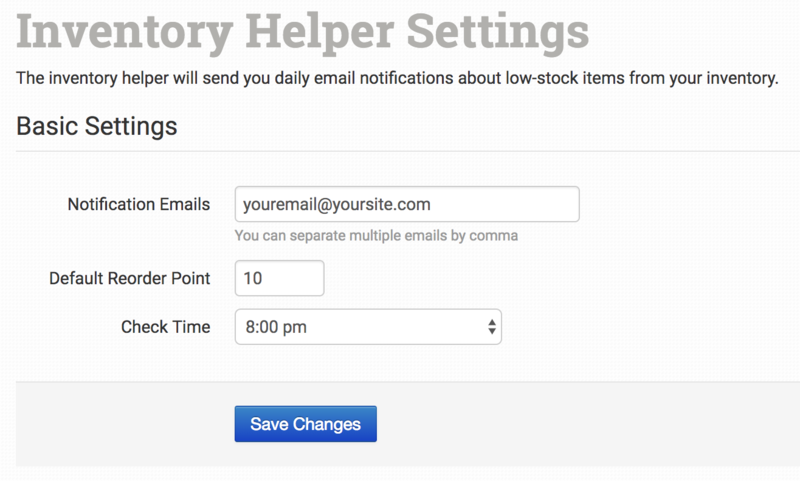 If you would like to receive daily notifications about low inventory in your store, you can use Inventory Helper. Use a default number for all items or set a specific number for certain items. This guide will show you how to set up and use the Inventory Helper integration in Order Desk. 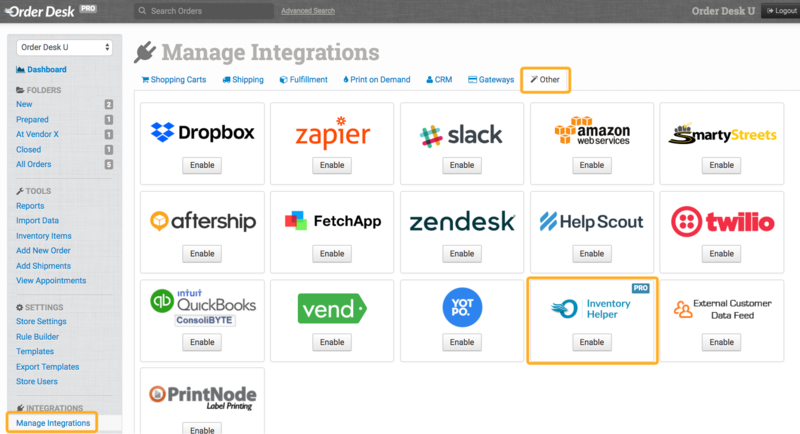 To enable Inventory Helper, click on Manage Integrations from the Integrations menu in the left sidebar. You will find it under the Other tab. The admin email on your account will be the default email address when the integration is first enabled. You can change this to any email address. Multiple emails should be separated by a comma. Any email addresses listed here will receive a daily email about low inventory. If any stock counts fall below the default reorder point, an email notification will be sent. Once an email is sent for a specific item, a metadata update will be made to the record and another email will not be sent until the stock is replenished and then falls below the level again. If you need to set individual reorder points on specific products, you can do so with item metadata called reorder_point. Set the number for each individual item if different from the default reorder point. If the Default Reorder Point field is empty, alerts will only be sent on inventory items that have the reorder_point metadata. Select the time of day that you want Order Desk to check your inventory for low stock.